Mintcraft 3506012213 Hex Bit Socket, 1/2" Drive, 9/16"
Save yourself from the displeasure of working with some pretty gaudy sockets and switch to Mintcrafts 3506012213 Hex Bit Socket. Regardless of your skill level and budget, this little tyke will do the trick! It forms a precise fit over nuts and bolts so it will be easy to free even the deeply-seated ones. Srength and durability sets it apart from the rest. This Mintcraft Bit Socket grips bolts and fasteners more securely than the competition. It allows easier removal of clingy fasteners without slipping and rounding of these little stinkers, while making sure they stay unscathed. This tiny super tool will be efficient for any job you would use it for. It is so durable that it can withstand tremendous amounts of torque applied in the most extensive project that it outlasts the leading brands. 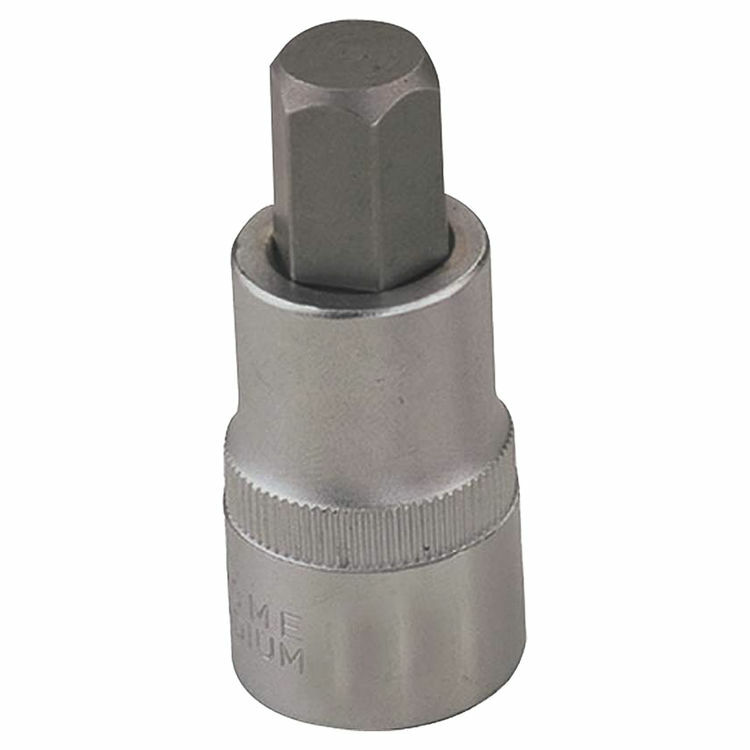 The Mintcraft Hex Bit Socket has a hexagonal drive type with a bit size of 9/16" and a 1/2" drive size. For your hand tools, trust only Mintcraft a name that means experienced engineering and a history of excellence that contractors and professionals have relied on for years. Shipping Dimensions 9.8" x 5.5" x 5.0"
Shipping Dimensional Weight 1.52 lbs.